A trio of winter cocktails from Trotwood at Glen Falls House. 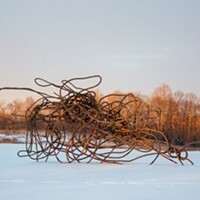 The snow has fallen, along with the temperature here in the Hudson Valley, but that doesn’t mean that you have to hibernate. If you don’t ski, or snowboard, this weather can definitely be a bit demotivating but the good news is that après ski (the social activities that aren’t skiing, but happen during or after) is on-trend and is most definitely something most people can get down with; and drinking is usually at the top of the list of activities for après skiers. Winter cocktails typically come in the form of toddies, mulled wine and ciders, flips, milk punches, and other cocktail styles that have a way of warming the body (and soul). 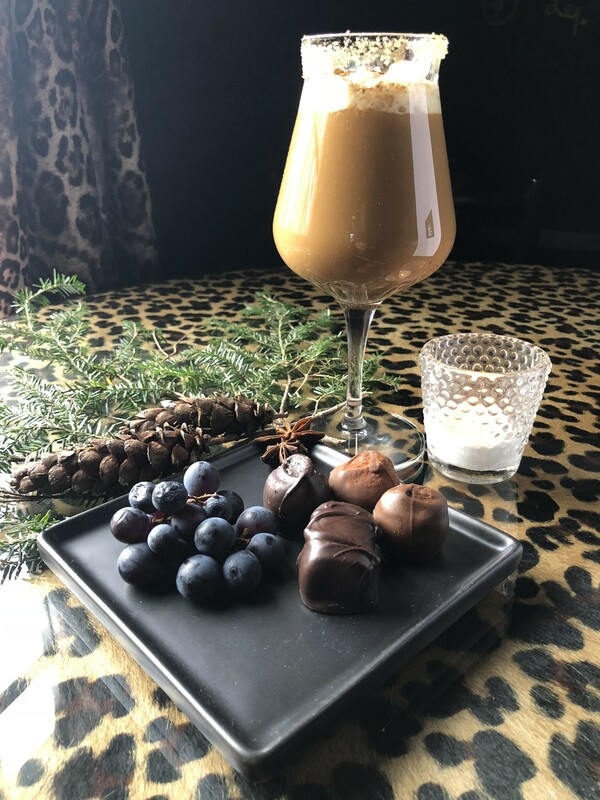 While a hot drink is comforting, sometimes a balanced bourbon-based sour has everything that you need to stay warm during this winter weather. With that, we’ve scoped out five warming winter cocktails worth braving the cold for. 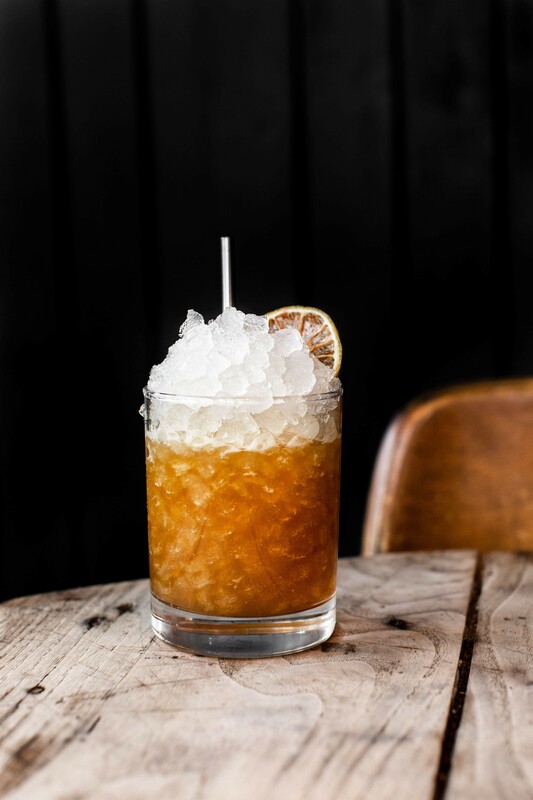 Home to some of the best cocktails in the region, Farmer & Sons’ Midnight Stinger cocktail not only looks beautiful with their custom ice (which is all made in-house), but also tastes like the perfect elevated whiskey sour you’ve been searching for. 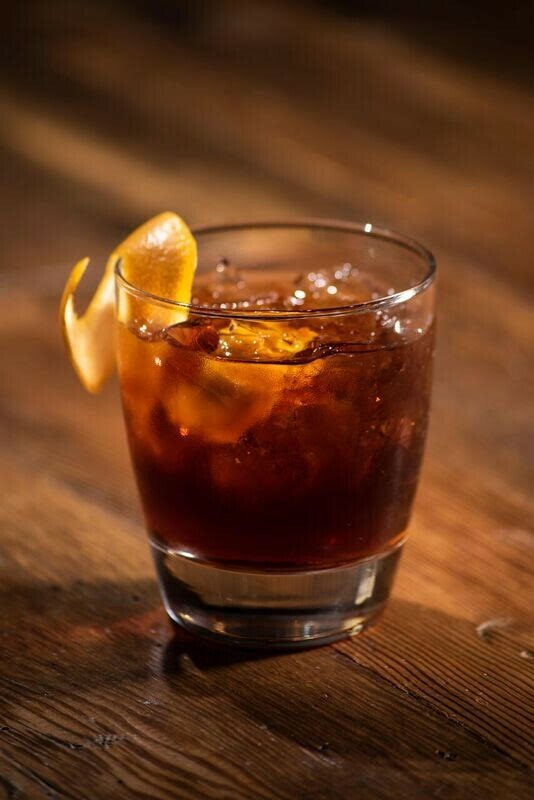 It’s made with bourbon, lemon, sugar, and Fernet Branca - an Italian digestivo and industry favorite. The addition of Fernet adds a mentholated bitterness to the sour that blends delightfully with the citrus, sugar and bourbon and also adds a bit of depth to the cocktail. It is a cocktail that has become an in-house favorite, and rightfully so. At this new, speakeasy-esque lounge you will step into an atmosphere that feels historic as much as it is modern-chic. Crown is housed in the oldest building in Kingston, which is a special feat that adds to its romantic ambiance. This winter, they’ve rotated a few tasty cocktails on their list, but Aleah is the most noteworthy. This rich, rum-based cocktail is made with Trader Vic's 151 rum, Black Button bourbon cream, coffee, and salted caramel cream. It’s essentially liquid dessert, and a couple of these will help you sleep like a rock. 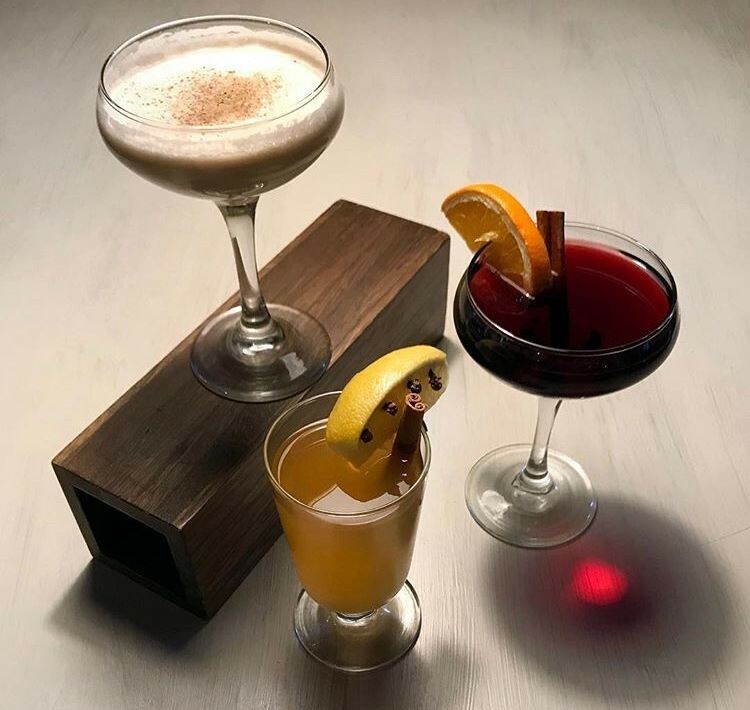 A&P, one of the Hudson Valley’s staple cocktail bars, is a place where you can always count on being served a quality cocktail. Currently on their list, the 5 Year Run is a tipple for the adventurous cocktail enthusiast with a sophisticated palate as it’s made with five flavorful ingredients: Bourbon, Averna amaro, Amaretto, Yellow Chartreuse, Tuv é bitters, and garnished with an orange twist. With bourbon serving as the cocktail’s backbone, the other ingredients add notes of herbal bitterness, nuttiness, and a complex herbal-floral depth from the ever-popular chartreuse. It’s the perfect spirit-forward cocktail to keep you warm while walking around the town. 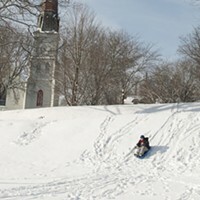 The recently reimagined Glens Falls House is the perfect destination for avid skiers who want don’t want to travel back home after a day spent at Hunter Mountain. Lucky for them, Trotwood restaurant have a delectable selection of cocktails that are ready to be guzzled. 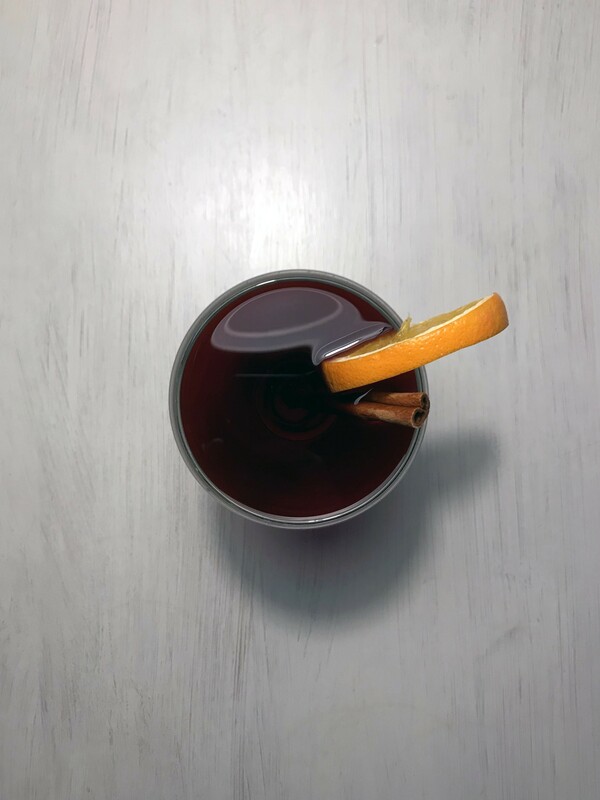 While they have a few winter cocktails that will without a doubt warm your spirits, their mulled wine (Brier’s Boozy Mulled Wine) with a shot of bourbon is definitely the move. It’s filled with warm baking spices, and bourbon - what’s not to love? 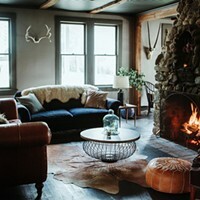 Another boutique hotel near Hunter Mountain, is Scribner’s Lodge - a cozy, chic cabin that’s great for a weekend getaway. 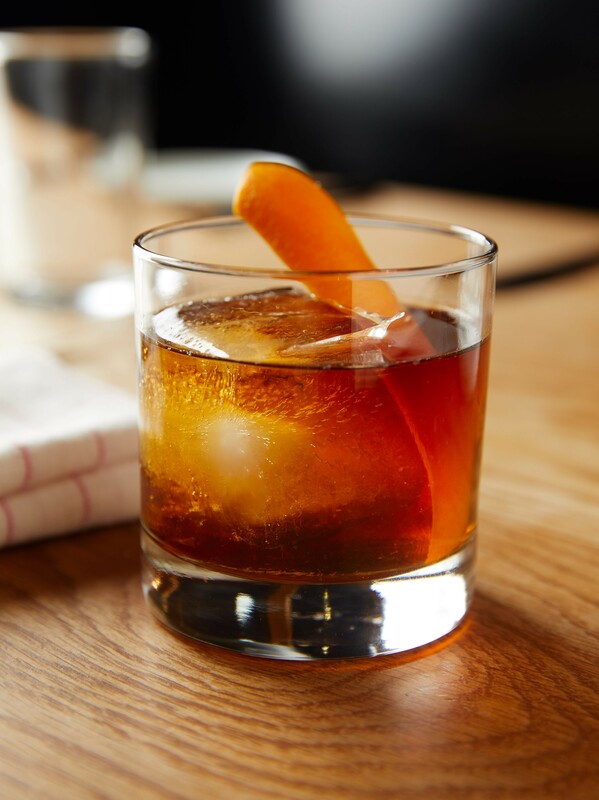 At their bar-restaurant, Prospect, the winter staple on their cocktail list is their Burnt Maple Old-Fashioned. It’s made with bourbon, maple syrup, walnut liqueur, Angostura bitters, and orange bitters - talk about comforting flavors! While the classic is all well and good, this wintery take on the Old-Fashioned is worth a try and it is likely that you won’t just have one of them.